Advantage ACT is a Health and Welfare SETA accredited institution. We offer on-site and client-specific Health and Safety courses in line with outcomes-based principles. Our outcomes-based Health Safety training therefore includes both a theoretical and practical component to ensure proper knowledge and skill transfer. Advantage ACT is the marketing sub-contractor of BSCIC Certifications Pvt. Ltd. providing CQI-IRCA approved courses. BSCIC is an approved training partner of CQI-IRCA. 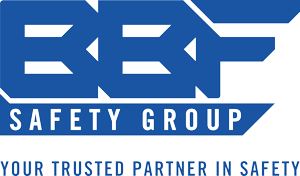 Providing on-site Occupational Safety training services for the last 15 years have made us specialists in this area. Due to the nature of Health and Safety, training should always have a practical bias and we believe that training sessions on-site, ensure realistic application of the theory into practice. The learners will understand better when training is applied to their actual working environment. Discuss specific situations they encounter in their workplace. Build consensus about Health and Safety issues. Better understand the workplace Health and Safety program, functions and goals. 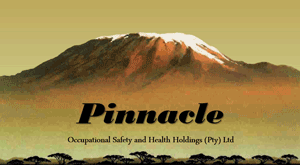 Advantage ACT presents our Health and Safety courses on our clients’ sites across Africa. In every instance, our course material is customized to reflect the OHS practices, country specific legislation and unique business environments of our clients. We present a wide range of Safety, Health, Environmental and Quality (SHEQ) courses at our offices in Roodepoort, Gauteng. It is our view that every one of our courses is designed to act as a building block in the career-path development process of a Occupational Health, Safety, Environmental and Quality professional. The list above is not complete. Kindly contact our offices for your customized requirements and your queries of other courses we might offer within the Occupational Safety, Health, Environmental and Quality discipline.